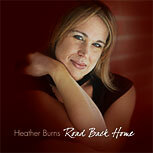 “Road Back Home” is Heather’s 2nd CD, released in November 2008. It delivers the same instrumental beauty and colour as her debut CD “Child’s Play”, and adds a mix of African rhythm and percussion to the musical canvas. She partnered with Victoria Producer, Joby Baker and credits his creativity and ability to bring the music to life as taking this project to places that far exceeded what she initially hoped or imagined. The recording features original compositions (Road Back Home, Somna – for Connor, McKerracher Sunset) mixed with Heather’s own arrangements of traditional music including Carols (Huron Carol, Do You Hear, Drummer Boy), Celtic jigs and airs (Bovaglie’s Plaid, Blue Bonnets over the Border) and Irish folk songs (Carrick Fergus, Planxty Irwin). It is replete with rich harmonic voicings, African rhythms, lyrical melodies and Heather’s unique and tasteful piano stylings. Heather is supported by some of Vancouver Island’s most brilliant musicians. Joey Smith (bass); Kelby MacNayr (drums); Chris Bertin and Dean Samuel (percussion); Chris Newstead (whistles); Paul O’Brien (bazouki); Adrian Dolan (accordian) and Joby Baker (guitar, bass, percussion). 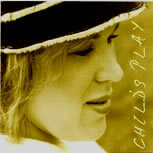 “Child’s Play” is the debut CD from pianist and native Vancouver Island musician, Heather Burns. It is an instrumental mix of music reflecting the jazz, Celtic and classical influences that have cultivated her musical style over 15 years of study and training. The blend of jazz rhythms, lush harmonies, and haunting Celtic melodies combined with the colours of various instrumental combinations create a relaxing musical journey for every listener. “Child’s Play takes you on a journey…..